Let there be light on set with these handy photo flood light bulbs from BarnDoor Lighting. You?ll find practical household light bulbs, photo flood daylight bulbs and more top-performing videography and photography light bulbs for every last lighting goal. 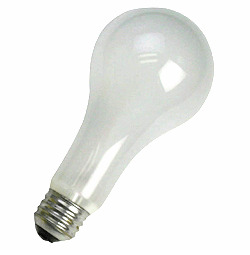 These bulbs are available in multiple volts, color temps and wattages to help you tailor your lighting to your exact vision. BarnDoor Lighting is an industry specialist when it comes to film lighting, so we?ll happily assist you with your photo flood light purchase. Use our low-priced colored LED photo flood lights for use with your Chinese lanterns, practical lamps and sockets or use our fluorescent daylight-balanced light bulbs for photography sets requiring a daylight ambiance. BarnDoor Lighting sells daylight fluorescent lamps in sets of five or six for larger production jobs or studios that need a stock of quality daylight bulbs. You may also purchase CFL daylight bulbs, CFL tungsten bulbs and practical bulbs in quantities of one or more at BarnDoor Lighting. Have questions? Reach out to us by phone at 1-888-276-3667 or by e-mail at info@barndoorlighting.com.